​Jack Grealish says that Aston Villa believe they can win automatic promotion to the Premier League this season, buoyed by their positive form in recent weeks. Villa have won five of their last eight matches since Dean Smith replaced Steve Bruce as manager, elevating them to eighth in the Championship table. After losing in the play-off final to ​Fulham at the end of last season, Grealish says ​Villa are aiming to finish in the top two this time around. "Automatic promotion is the target," Grealish told ​Sky Sports News. "You look at our team here and that's what we should be striving for. "The players that we've got, even the guys that are coming off the bench and the people that are injured at the moment, we've got talent all around the squad. "The only thing the staff and players are looking at is automatic promotion." 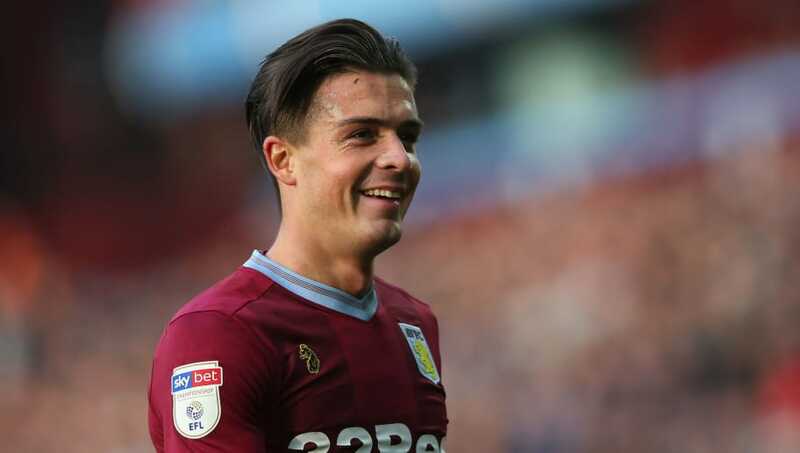 Grealish could have joined ​Tottenham in the midst of a financial crisis at Villa Park during the summer, but the club eventually held onto him. A boyhood Villa fan, Grealish is adamant that he was not disappointed when the move failed materialise. "When it didn't happen, it didn't bother me at all, because my dream as a kid was to play for Aston Villa and I would never ever take that for granted, so I got my head down and now hopefully I can get this club back to where it belongs," he said. If they want to achieve Grealish's stated goal of automatic promotion, Villa must make up an eight-point gap to ​Leeds in second place.